Financial hardship experienced at a tender age can have lifelong consequences, but lifting families out of poverty can dramatically improve their children’s economic prospects in adulthood. This increase in future earnings may provide a critical pathway out of poverty for that child, and may break the intergenerational cycles of poverty. The negative health consequences of growing up in a low-income family is one of the central mechanisms that creates intergenerational cycles of poverty. Poor children are more likely to die as infants, experience food insecurity, and suffer from chronic diseases such as asthma. The negative health outcomes associated with child poverty often follow people into adulthood and contribute to increased rates of disease, behavioral health issues, and early death. Increasingly, the medical community is treating childhood poverty as a disease. The American Pediatric Association highlights the Earned Income Tax Credit (EITC) as an especially effective way of targeting childhood poverty. The latest related data on the federal Earned Income Tax Credit found that it lifted 3 million children nationwide out of poverty in 2016. Approximately 1.2 million North Carolina children are in households that receive the federal EITC. 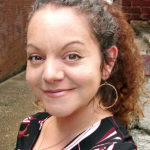 The average federal EITC recipient in North Carolina receives $2,500. A state EITC set at the national average of 20 percent of the federal credit would provide a modest, but crucial, boost to low-income working families in North Carolina. According to the last available IRS data, the federal Earned Income Tax Credit returns $2.2 billion to North Carolina communities through 883,000 returns claiming the EITC. 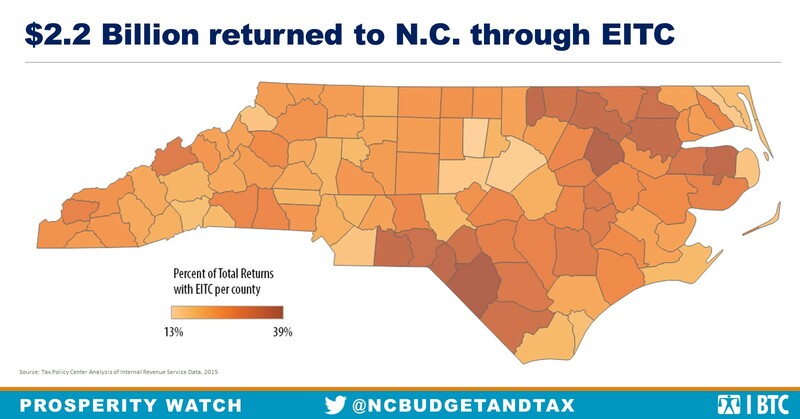 Counties with the highest percentage of EITC claims include Edgecombe, where 38 percent of all returns claim EITC, and Bertie, Anson, and Halifax, where the percentage of EITC returns is at 35 percent of all federal tax returns.